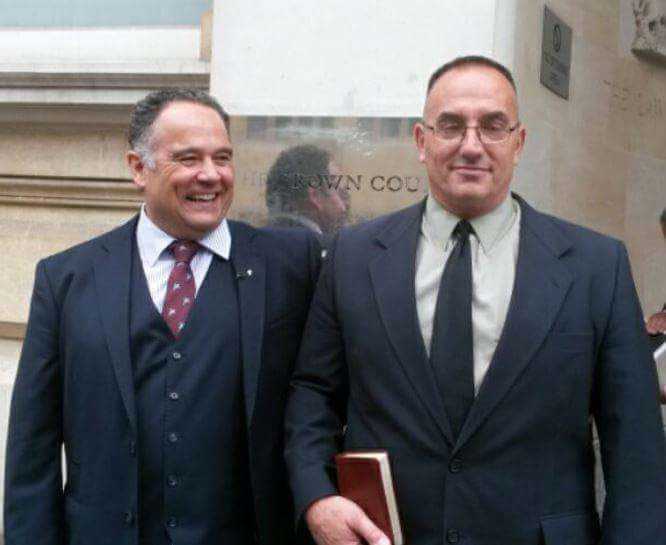 BRISTOL, U.K. — Two preachers who had been found guilty earlier this year of “intentionally alarming” the public with their open-air preaching have now been acquitted in a UK appeals court. “We hope and pray that today’s ruling will be an encouragement to Christians across the nation to continue preaching the good news,” defendant Michael Overd said in a statement on Thursday. Overd and Stockwell, along with Adrian Clark and Don Karns, had been taking turns open air preaching outside of the Bristol shopping center on July 6, as well as engaging passersby in conversation and/or holding gospel signs. In February, Justices Robert Stacey, Gerry McDermot and Josephine Ramsden declared Overd and Stockwell guilty of violating the Crime and Disorder Act, and fined them nearly $2,500 each. During the trial, prosecutor Ian Jackson argued before the court that preaching that Jesus is the only way to God “cannot be a truth” and that some passages of the Bible are not acceptable for 2016. “To say to someone that Jesus is the only God is not a matter of truth. To the extent that they are saying that the only way to God is through Jesus, that cannot be a truth,” he declared, according to a press release issued by the Christian Legal Centre. He contended that Stockwell and Overd had crossed the line by stating that those not following Christ are on the broad path to destruction. During this week’s appeal hearing, which lasted two days before the Bristol Crown Court, Standing Counsel Paul Diamond told those gathered that there is no right not to be exposed to ideas that one disagrees with and that passersby can simply continue walking if they do not wish to hear certain messages. Stockwell and Overd also shared with those present that their motivation is only to share the gospel. Judge Martin Picton, who was joined by two other appeals court judges, subsequently ruled that the prosecution could not sufficiently prove that the men were motivated by animus toward any people group. “We conclude Mr. Stockwell did no more than express his no doubt sincerely held religious beliefs as he was entitled to do,” he said, according to the Bristol Post. Stockwell and Overd expressed relief over their exoneration, as well as concern regarding the infringement of free speech rights in Britain. “Freedom of speech is under increasing assault in this nation. People should be free to express their beliefs in public, without risk of harm, violence or other repercussions. That’s why today’s result is such a great victory,” he said.